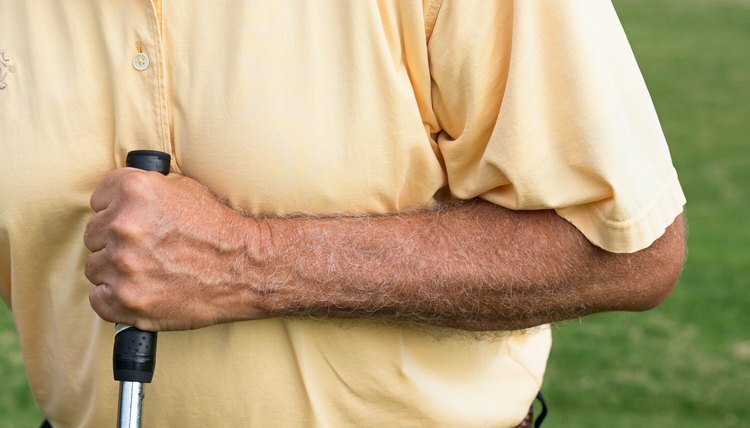 A common problem for golfers is what is casually known as "the yips"--slight, unintentional jerks and twists of the wrists made during the course of a golf stroke. 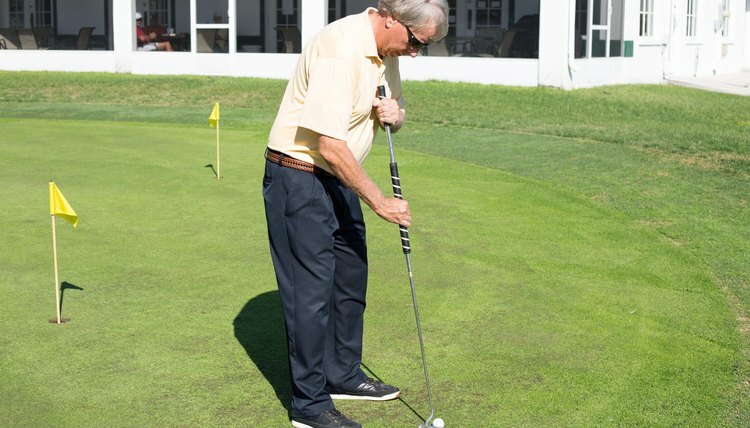 The yips can be most damaging to your putt strokes, but a style of putter called the long putter is designed to minimize the yips and keep your putts on track. Assume a standard putting stance: Stand with your feet, hips and head parallel to the hole, position your feet hip-width apart, bow your head and shoulder slightly and position your head directly over the ball. 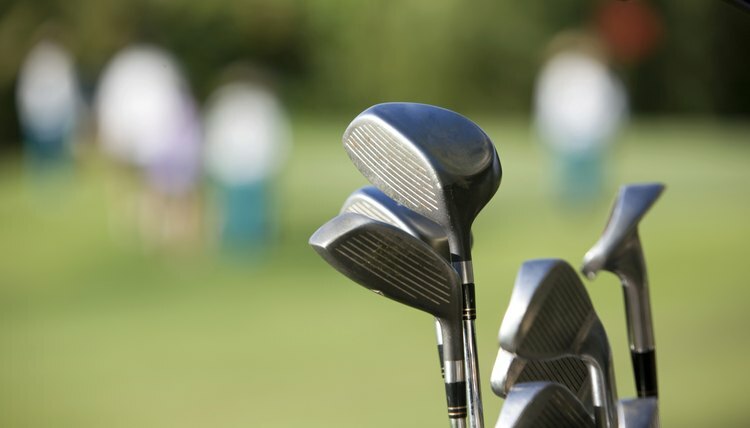 Hold the long putter in front of you so that the club head is touching the green just behind the ball. Place your back hand on the lower grip just below waist level. Press the ball of that hand against the grip and keep the fingers pointing down, much like you would when holding a regular putter. Place your front hand on the upper grip near the end. This hand should be more of a fist and the thumb should be at the top of the grip, much like you would hold a baseball bat. Press the end of the upper grip against your chest. The exact position where you should touch it to your chest depends on your height and the length of your long putter, but the idea is that you will keep the end of the putter touching your chest throughout your entire putt. With this in mind, position the grip against your chest in a place where you can comfortably putt in a controlled, fluid manner. 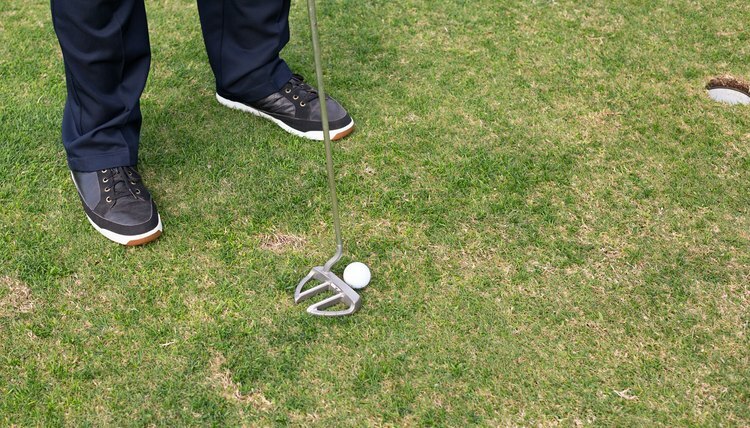 Pull the putter head back a couple of inches so that you can take a few practice putts without disturbing the ball. 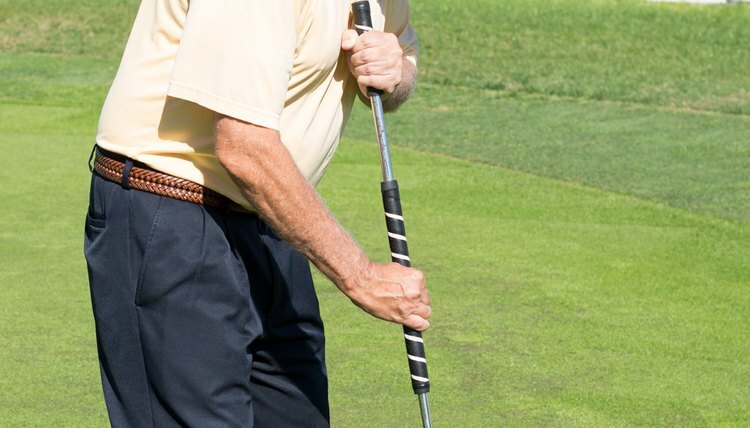 Use your front hand to keep the end of the grip anchored in the same place against your chest, then take a few practice putts by pulling your back hand back and then pushing it forward at a consistent speed and in a fluid motion. Think of your putter as a pendulum and the end of the grip as the pivot point. Do not move your spine or shoulders as you take your swings. Move the club head back behind the ball. Make sure your head is positioned directly over the ball, then turn your head to look at the hole. When you're sure your putter and stance are lined up properly, fix your gaze on the ball and take your putt just as you practiced it. 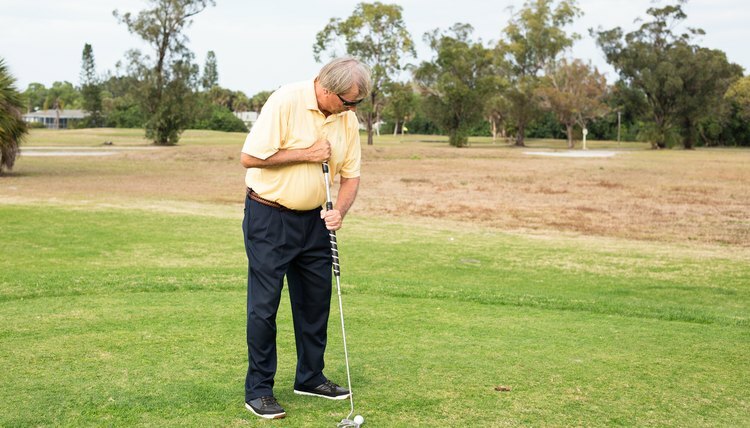 Make sure you're taking full advantage of the putter's extra length by swinging it just like a pendulum from a fixed point against your chest.